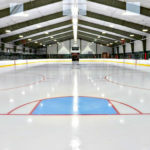 Working with Bread Loaf Construction and Design, of Middlebury, VT, an advanced energy efficient design was proposed to meet the requirements set out by the RFP from the Town of Stowe, VT for the Stowe Arena. 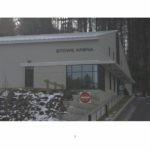 The timeworn covered outdoor rink was to be replaced with this new enclosed arena. Obviously, much concern was given the increase in operations costs to both heat and cool this new enclosed building. While efficiency and reclaim heat was a basis of design, cost was a major factor as well. The entire design proposal was evaluated and reviewed by third party engineering and commissioning agents. 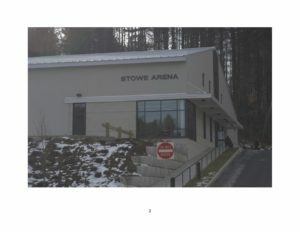 The Town of Stowe opted for this design and Emerald Environmental Technologies’ ice3 Cubes were married to the HVAC System. 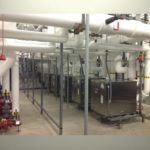 Reclaim heat from the refrigeration system was used extensively throughout the entire facility (locker rooms, entry, Zamboni room, viewing area, toilet rooms, meeting rooms, etc…) as well as snowmelt under the front walkway ramp. Domestic water as well as Zamboni water was also reclaimed with interior snowmelt of ice shavings and warm floor under ice. The ice3 Cubes also served as a source for air conditioning chilled glycol for the central and ventilation systems as well as post heat and cool for the arena sourced from the dehumidifier. The ice3 Cubes could also be used when ice was out within the two stage dehumidifier to provide ventilation and conditioned air for use of the facility with an event on the ice floor. 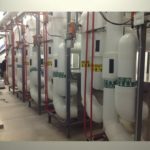 Extensive radiant floor heating was installed and the heat was supplied from the ice3 Cubes reclaimed heat had extensive uses throughout. This allowed for comfortable locker rooms and floor drying of wet rubber. Traditional night setback is not used. As a matter of fact when ice3 Cubes are operational temperatures within the radiant floors are turned up at night to allow storage of thermal heat within the concrete floors versus rejected to the fluid cooler. 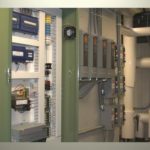 While this is a complex system it provided for many uses and is economical to operate. 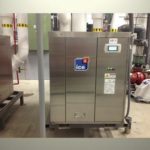 The ice3 Cube reclaim heat is backed up with boilers so when refrigeration load is out of sync to heating load comfort is always provided. The Digital Control System maximizes the reclaim heat as well as staged operation of the ice3 Cube plant for varying ice duties.